To escape the halls of Chapman Prep, Nora Kane takes a job as research assistant at the nearby university along with her best friend Chris and his college roommate Max. The job: translating letters that the professor (known as The Hoff) believes will help unlock the secrets of the mysterious Voynich manuscript. Just as their work begins to yield clues, Chris is murdered and Max goes missing. The only witness is Chris's girlfriend Adriane, who is in such shock she cannot remember anything from that night. Reeling from the tragedy, Nora and Adriane are determined to find out who killed Chris and embark on a dangerous journey to Prague. Not knowing what to believe or who to trust, the two young women investigate secret societies, dark conspiracies, and rumors of a machine that will talk to God. In summary, this novel is sort of like The Da Vinci Code, but well-written and starring teenagers. But in this case, the fun, fast-paced story of mystery and intrigue contains a layered plot and complex characters. Nora is not your typical high school student. She separates her life into two eras: Before Dead Brother and After Dead Brother. BDB she was a pretty typical kid in a pretty typical family. Then her brother got drunk, stole a car, and ran into a tree killing himself and his passenger. Her family destroyed, Nora lost herself in the one thing she always excelled at: Latin. It was her proficiency in the language that led her to Chapman Prep and then to the research assistant job. Her role was translating letters from Elizabeth Weston, the stepdaughter of a man named Edward Kelley who was associated with the manuscript. The Hoff was pretty convinced that Elizabeth's letters were insignificant (she was just a teenage girl, after all) but Nora became convinced otherwise, and became consumed by the letters and felt a strong connection with Elizabeth Weston. The other characters were also well-developed and intriguing. Nora has an unlikely partner in Adriane, who is far less serious but can surprisingly rise to the occasion when needed. Adriane is a recognizable teenager, unpredictable and somewhat of an enigma. She can be hard to figure out because she hasn't figured herself out yet. Nora's boyfriend Max is the primary suspect in Chris's murder, and Nora is convinced of his innocence from the start. But clearly he is somehow involved, and the twists and turns of the plot keeps Nora and Adriane guessing. When Chris's cousin Eli appears to help them solve the mystery, he also is a wild card in terms of his loyalties. The characters were all played off each other quite expertly, only deepening the mysteries of the story. "Here the worn, chipped, dented, tired graves were crammed together, sagging at alarming angles, their inscriptions mostly worn away. A few clusters of three, even four stones leaned on one another, as if the ground beneath them had mercifully shifted to allow for the comfort of contact." At the same time, it's not all so serious as to be unbelievable. Nora and Adriane are sarcastic and funny at times, and even when I wasn't sure how much I liked them (especially Adriane) I did like spending time with them on their adventure. The plot revolves around the Voynich manuscript, which is a real book of unclear origin written in a language nobody has been able to decipher, accompanied by strange illustrations. Many theories abound about its authenticity and meaning and after finishing the novel I immediately began to read all about it. The book has been scanned and you can view it here. It's worth taking a look for the illustrations alone. I liked that the story weaves in a real-world mystery, and reading this you accidentally learn about steganography, and the difference between a code and cipher. Educational! 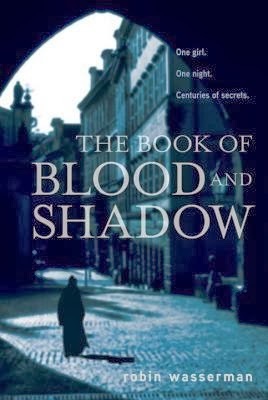 I hadn't even heard of The Book of Blood and Shadow until I received it as a gift and I'm surprised it isn't more well-known. There are few young adult mystery/thriller novels that aren't paranormal and that alone would make it unique. But elevating it even more is the sophisticated plot and characters, with writing that really helps immerse the reader in the world. It was great fun to read! Before Cheryl Strayed became famous with her memoir Wild, she wrote an advice column for The Rumpus. The best of those columns, plus some never-before-published columns, were brought together in this collection of questions followed by eloquent essays. The book is arranged in five parts, I assume thematically, though I can't quite identify the themes. But it doesn't matter. I will admit that I was a bit put off by the first column, when she began answering a relationship question with a story about her dead mother. Oh, I thought, this is all about you, is it? I got over that pretty quickly. Strayed may take a slightly circuitous route to get to her response, but it makes for a beautiful essay. Her advice is insightful and compassionate, and even when the asker is obviously at fault she will jibe them in the most affectionate way: "I love the way you wrote to me with your searching, scared, knuckleheaded, nonchalant, withholding dudelio heart on full display." ("Dudelio" is a dude-related word she made up just for this person.) Strayed gets you, no matter who you are, because she has also made huge mistakes and has learned from them and is now ready to impart that wisdom. She can also be funny. She begins one response with "I'd rather be sodomized by a plastic lawn flamingo than vote for a Republican, but as I consider your situation, I can't help but quote the former secretary of defense Donald Rumsfeld..."
She's also not afraid to take a hard-line stance when she needs to. She told a gay guy to get out of his fundamentalist Christian parents' house rather than pretend he was straight, and she advised a woman with an abusive older brother to stop seeing him despite the hurt it would cause her parents. She explains why with a deeply persuasive clarity. She is fond of boundaries. "Boundaries teach people how to treat you, and they teach you how to respect yourself." Some of the questions she received were unanswerable. The most heart-wrenching was from a man whose son, an only child, had been killed by a drunk driver four years earlier. His letter was in the form of a list because he found it so difficult to compose an actual letter, and it didn't even have a real question because he knew his problem was unsolvable. He wanted his son back, and could not have his son back. How can one even respond to such a thing? With eloquence and grace in this case. Strayed rose to the challenge and penned a beautiful, sympathetic response - also in the form of a list - in which she commends the man's strength in making it this far and somehow manages to speak in an uplifting way of all the things his son has yet to teach him. It was truly amazing. I just loved reading this book, and I couldn't help but think of Ann Patchett. They both write exquisitely perfect sentences and have beautiful, wise insights that they manage to capture on the page eloquently. (Why aren't I as smart and amazing as these women? How does one get there?) Of course, it wasn't written entirely by Cheryl Strayed - it was also written by the many lost and confused and bewildered and hurting people in an astounding array of difficult situations. They were the inspirations for each one of Strayed's pieces of writing. I loved Wild and still think about it and recommend it and will likely read it again. Tiny Beautiful Things is different because it's not one story, but many stories, and for that reason it may not stick with me quite the same way. But I will remember it and I will recommend it. 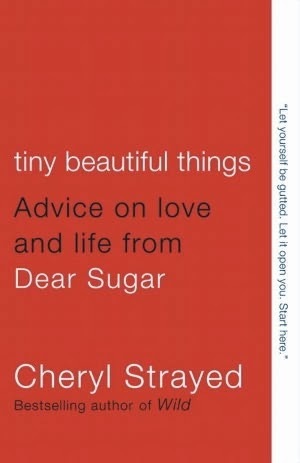 I will also eagerly await Cheryl Strayed's next work of nonfiction. The Sadiri are suddenly a people without a planet, much of their population destroyed in an attack. Now they are on Cygnus Beta, embarking on a journey around the planet to visit groups they may share genetic similarities with in the hopes of finding potential mates for the large number of male survivors, thus ensuring the future of their race. Grace Delarua, a government liaison with a talent for languages, accompanies them on their journey around her planet as they visit various cultural groups to learn more about them. 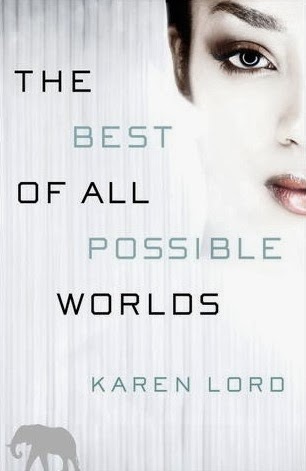 I read so many great reviews of this book, and desperately wanted to like it as I desperately want to like all science fiction that ends up disappointing me (see: The Windup Girl, for example). I loved the idea of this story, and although I mostly enjoyed reading it, it felt rather cold and distant. The narrator could have been any of dozens of characters I've read before. Though her conversational style seemed promising early on, she was simply not very well developed, nor were the other characters. Specific aspects of the story that I found kind of fascinating went unexplored. One character, Lian, is described as being "gender neutral" which "may or may not mean that Lian is asexual, though many of those who are registered as gender-neutral are indeed so." The significance of this declaration is never explained, though it seems to negate the possibility of a romantic relationship. Why? And how many people declare themselves gender neutral? Late in the story, Grace's mother confesses to a possible relationship with a married woman, and Grace asks "Are you sure she's interested in you or is it both of them?" Are three-person relationships a thing on Cygnus Beta? I will never know because none of this was explained. Perhaps this just isn't supposed to be what the book is about, but there is a romance taking shape throughout the novel and the journey is very much about finding mates for people, so I think my criticisms here are relevant. I want to know more about the gender/relationship landscape of this planet. As for that romance, it felt flat for me. Although it was easy to see Grace and Dllenahkh's friendship solidify through the story, there was no romantic/sexual tension whatsoever. I don't even know if she was attracted to him; in fact, his appearance and her initial reaction to meeting him was never described, so early on I wouldn't have known if he was even a potential love interest. Few of the characters were described physically and it was tough to picture them. I only know they were "shades of brown" and some of them had hair that shimmered. (As an aside, that white woman has no place being on this book cover.) Dllenahkh was fairly Vulcan-like in his interactions and Grace rather standoffish herself, so that was not exactly a recipe for a hot romance. Despite how all of this sounds, I still liked the book, just not as much as I wanted to or could have. Many great elements were present: different cultures, psionic abilities, a fairly conversational narration (some reviewers disliked that the narrator occasionally addressed the reader directly, but I didn't mind). This was not a struggle to read - I flew through it pretty quickly and liked it well enough while I was reading it. It just left me unfulfilled. I am frustrated by my apparent inability to enjoy science fiction. I want to read books about space travel and alien races and technologies that don't exist (yet) and the descriptions of some of these books sound fantastic. But when I sit down and try to read them I struggle. I want them all to be The Sparrow or Losers in Space but mostly they are just so damn clinical and totally void of personality and emotion. It makes it hard to care what happens. Am I just reading the wrong stuff? Or is this just how the bulk of science fiction is written? Please enlighten me, or tell me what I should be reading instead. 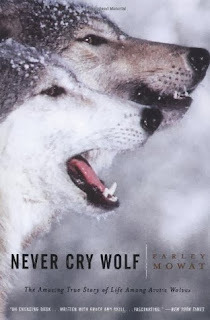 Farley Mowat was sent to the Canadian tundra to investigate why wolves were killing off the caribou, and his account of that summer has become a classic of nature writing. Dropped off by a small plane on a frozen-over lake, Mowat had to establish a base camp and find the wolves he was to study for the next several months. He also had to protect himself against the animals, which were considered dangerous and bloodthirsty. Surprisingly, after his intense observation of the wolves, that is not what he found. Mowat's style is grandiose and humorous, like an older relative regaling you with exaggerated stories of his youth. He may anthropomorphize the wolves a bit, but honestly it made for a more personable story, and his conversational style was still informative. His distrust of conventional thinking and the government for which he worked shone through. I'm always drawn to stories about people immersing themselves in another culture and Mowat's book fit firmly in this genre, though in this case the culture is non-human. In his attempt to understand the wolves he adopted their sleep patterns, marked his territory, and even ate mice. He was committed to the bit and it paid off in vast knowledge. I've always liked reading about nature and animals. As a kid I read Call of the Wild and White Fang, and a whole parade of books about horses including my favorite, Misty of Chincoteague. As an adult, my nature reading has been primarily hiking books like A Walk in the Woods and Wild (though Thoreau's Walden has been on my list to read for a while now.) Although I found this one informative and rather amusing, it lacked depth and his writing style isn't my favorite. But even though I probably won't seek out more books by Farley Mowat, I'm glad I finally tried him. A strange house sits nestled in the hills outside of a town called Hillsdale. Rumors of its sinister history have caught the attention of a Dr. Montague who rents out the house in hopes of scientifically studying the phenomena. He carefully chooses guests to accompany him, including a relation of the family who own the house. At first it seems like a lark, and the guests all spend time frolicking around and getting to know each other, but soon they begin having experiences they cannot explain away, and their stay turns from fun to terrifying. 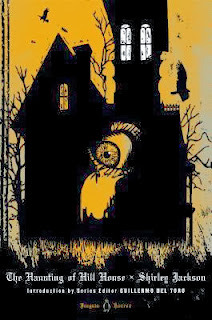 Considered a classic in haunted house literature, Jackson's novel contains all the best elements of success: an imposing structure with a confusing layout, a history of mysterious deaths in the original family, unexplained occurrences, standoffish townspeople, and characters who might not be quite healthy mentally. It is this psychological element that is most powerful in any horror story, and here it was used to its best advantage. The central character is Eleanor, a 32-year-old woman who has spent the last 11 years taking care of her sick mother. Her character is introduced with this statement: "The only person in the world she genuinely hated, now that her mother was dead, was her sister." Then, in a restaurant when Eleanor observes a small girl refusing to drink out of a cup that's not the one she uses at home: "Don't do it, Eleanor told the little girl; insist on your cup of stars; once they have trapped you into being like everyone else you will never see your cup of stars again; don't do it; and the little girl glanced at her, and smiled a little subtle, dimpling, wholly comprehending smile, and shook her head stubbornly at the glass. Brave girl, Eleanor thought; wise, brave girl." This scene was very telling. Eleanor is trapped in her narrow little life and jumps at the chance to escape it to visit Hill House. Unfortunately, her desperation makes her particularly vulnerable to the personalities and forces around her there. She quickly forms a friendship with Theodora, the other young woman who has been invited, but their relationship becomes troubled as the story progresses, partly due to the attractive young Luke who Eleanor seems fond of. Her growing insecurities and the increasingly unnerving events at the house converge upon her to her detriment. Her character was delightfully complex, simultaneously irritating and sympathetic. Although I didn't love The Haunting of Hill House as much as We Have Always Lived in the Castle, I still found it an excellent creepy tale and will certainly try more of Shirley Jackson's books in the future. I should also mention how much I like this particular edition, with the orange and black cover and pages edged in black. I couldn't get through Guillermo Del Toro's series introduction unfortunately, but thought the other introduction by Laura Miller to be quite interesting (but read it after reading the book because there are spoilers.) If you like creepy or psychological stories, definitely give this one a try! Margaret Prior has just begun charity work at Millbank prison as a "Lady Visitor." London's prisons in 1874 are pretty grim, and it is Margaret's job to spend time talking with the inmates in hopes of encouraging them towards being productive members of society upon their release. Margaret herself is recovering from a dark time in her own life and is therefore quite vulnerable to the charms of one of the inmates with whom she visits. Selina Dawes is a spiritualist, imprisoned for fraud and assault, and Margaret becomes quite attached to her, willing to take greater and greater risks in order to spend ever more time with her. I love literature set in the Victorian period, and spiritualism was quite popular at the time. Like other spiritualists, Selina would hold seances, or "dark circles," and communicate with the deceased loved ones of her attendees. Margaret was quite drawn to Selina's stories and even began visiting a local spiritual society to learn more. As I tend to do with any book involving the supernatural, I wasted a bit too much mental energy trying to figure out whether or not I was supposed to buy into Selina's claims. It should have been enough to know that Margaret bought into it, as she is the first-person narrator of the story, but I'm too much of a skeptic for my own good. When all was said and done I liked the novel more after finishing it than I did while reading it. Still, to me it wasn't as good as the other novels I read by Sarah Waters. 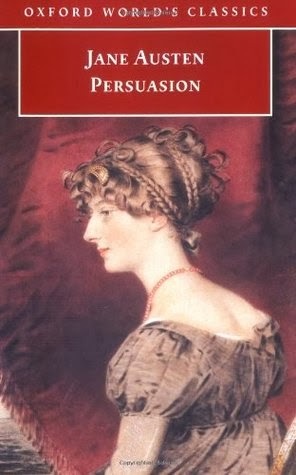 This was her second book, and I don't think it quite lived up to her first one (Tipping the Velvet) or those that came later (Fingersmith and The Little Stranger.) It's hard to put my finger on why, but I don't think it's just the spiritualism theme. Somehow it's not as rich or descriptive and I didn't become caught up in it the way I was with her other books. This is not to say that I didn't like it, not at all. I think Sarah Waters is incredibly talented and her books that I've loved surpass most other books out there. 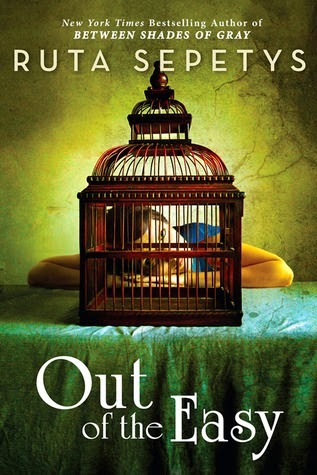 Even this one I quite enjoyed reading, especially everything about the prison conditions and the story that emerges about Margaret's past and her relationship with her sister-in-law. Waters sharply illustrates some of the ways women were confined at the time, both in prison and in general society. I'm looking forward to finally catching up completely with her work by reading The Night Watch, and am also quite excited to learn that her next novel, The Paying Guests, will be released in the fall. For those of you who have read Sarah Waters, how do you think Affinity compares to her other books? And what about The Night Watch? This is just what the title says - the story of an American family who move to China. Aminta Arrington and her husband both got jobs teaching English and moved to the small city of Tai'an with their three very young children. This wasn't their first visit to China; in fact, they had gone just a year or two before to adopt their Chinese-born daughter Grace. Immersing three children in a Chinese school and raising a Chinese-American daughter in China added even more interest to what is already a pretty fascinating premise. Memoirs can be such a crap shoot - as I've mentioned before I tend not to read them because so often a great story is poorly executed or a maybe it's a well-written memoir but not terribly interesting. I'm happy to say that in this case the author writes quite well about a fascinating topic. It's not strictly chronological. Each chapter is titled according to theme: "Home," "Winter," and "Independence," for instance. Stories about the family's adventures illustrate the topic of that chapter, which are all woven quite seamlessly together. The title of each chapter is written in both English and Chinese as Arrington discusses the language and the symbols for each word quite extensively. 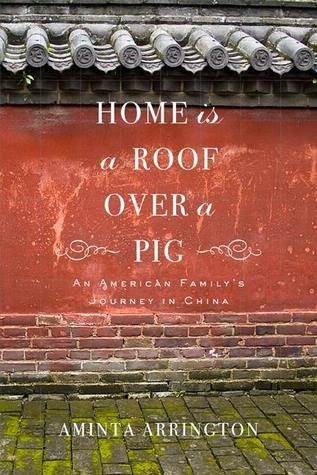 The title of the book, for instance, refers to the Chinese character for "home" which is the "roof" character placed over the character for "pig." She puzzles out many of the characters by looking at each part and it's meaning and gleaning cultural clues from the written language. Learning Chinese was a struggle for everyone in the family and since Aminta and her husband both taught English, she has a unique perspective and has put a lot of thought into the relationship between language and culture. Conversations with her students on subjects such as population and the one-child policy, Taiwan, freedom and independence, and the education system in China not only illustrate the difference between our cultures, but provide insight into how culture shapes each person's worldview. My knowledge of China and its language primarily stem from my visit to Hong Kong in 2012 and my experience buying Chinese materials for the library. That was enough to pique my interest and the reason I first added Home is a Roof Over a Pig to my to read pile, where it has languished since I first read a pre-pub review of it. Thanks to the TBR Pile Challenge I finally picked it up and I'm so very glad. There is something fascinating about someone moving to a new country and being immersed in a different language and culture and this book did a great job of capturing that experience. I enjoyed every bit of it, and now have a powerful hankering for some (authentic!) Chinese food. It's 1950, and all 17-year-old Josie Moraine wants is to get out of New Orleans. Her mother is a prostitute at a nearby brothel, where Josie works as a maid, and Josie lives in a room over a bookstore where she also works. She is well looked-after by Willie, the madam at the brothel, and her driver Cokie, and has some good friends like Patrick, the book shop owner's son. When she meets a young woman named Charlotte who attends Smith College, Josie sets her sights on entry to the prestigious school. But with her background, how will she ever get the recommendations, not to mention the tuition money, that she needs? Further complicating her situation, a criminal named Cincinnati, who is involved with Josie's mother, has just returned to town and they threaten to drag Josie into their world of crime and keep her from her dreams. Although this was written for teens, it's a great crossover novel, with its sophisticated writing and a story sure to appeal to anyone who enjoys historical fiction. There were times I had to remind myself that it was written for teenagers, especially when the prostitutes talked shop. It wasn't graphic, and Josie wasn't allowed in the brothel in the evening so she didn't witness the goings-on, but there was plenty of rough talk. Josie was easy to sympathize with and to root for. There were a couple of times I wanted to implore her to understand something she just wasn't getting, or to take a different action than she was, but she was a teenager after all and honestly was probably handling everything better than most people her age would. She was tough - she carried a pistol strapped under her skirt and she knew how to use it - but was awkward with romance. She knew a lot about the seedy side of life, but little about how to get herself accepted at Smith. It would have been all too easy to end up at the brothel like her mother. But she was determined to avoid that. Despite her mother's terrible parenting, Josie was surrounded by people who cared about her and wanted a different life for her as much as she did. I was touched by the affection Cokie showed towards Josie, and the loyalty of her friends Patrick and Jesse, and especially Willie. She even had good relationships with some of the prostitutes. As much as she didn't want to end up like them, she didn't look down on them either. On top of her goal of getting an education, the importance of friendship and loyalty also made her a very different person from her mother. Out of the Easy has a similar feel to Ten Cents a Dance and The Girl Is Murder, both of which take place in the 1940s. If you like any of them I recommend trying the others. Ruta Sepetys continues to prove herself with this second really excellent novel. Her first, Between Shades of Gray, was a very different story but also historical and well written with a strong main character. 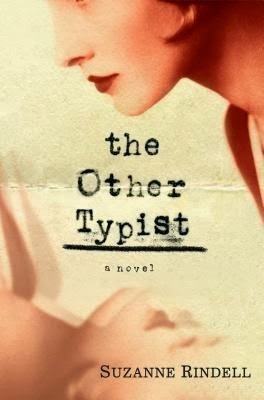 I'll be eagerly awaiting her next novel which, according to Goodreads, should come out sometime in 2014. Full steam ahead on the Geodesic Cardigan! About a week ago I got this crazy idea that this cardigan would look really nice at a party I'm going to a week from now. And it would, but that's not going to happen. Nevertheless, I'm putting a lot into this project right now. I finished the waist shaping just as I was starting the tucks - which you can see above - and then the neckline shaping began and just a few rows later I had to start the armholes. What this means is that I've had to keep track of several things all at once. The tucks are a series of 18-row repeats, and while the last 8 rows are plain stockinette you still have to count them. The waist shaping meant an increase every 12 rows, which thankfully finished just before I had to begin the neckline shaping. That involves decreases every 4 rows. I've been using a row counter to keep track of where I am on the shaping and every time I do another increase or decrease I make a mark on the pattern and start the counter again. With the tucks, it's more complicated. There are short-rows, so sometimes I'm doing a few rows on the left tuck and then moving over to the right tuck and doing a few rows there, so I'm frequently at a different spot of the 18-row repeat on the left and the right. I know that sounds confusing, and it is. It makes more sense when you're doing it, but it means I have to keep track of them separately. So I have two small post-it notes on the pattern where I mark off the rows of the repeat I'm on: one post-it for the left side and one for the right side. Now that I've separated for the armholes I'm just working on the back, which is a nice break from the tucks. Still lots of counting though, because I want to know how many rows I'm knitting to achieve the required length. This is more precise than measuring and I want to be sure the front and back come out correctly in relation to each other. My next project may be something a little more plain and straightforward. I've been eyeing some of the sweaters in the Winter issue of Interweave Knits, which is one of the best issues I've seen from them in a while. Rose was an orphan, raised in a convent, and now works as a typist at a police precinct in New York City at the height of Prohibition. When a new typist named Odalie begins working there, Rose is strangely drawn to her and soon they are friends as well as roommates. The formerly-wholesome Rose now lives a lavish lifestyle, dressing fashionably and going to speakeasies every night. Her new relaxed attitude begins to affect her work in a way that will have serious repercussions. Rose's first-person narration hints at a much darker future, from where she tells her story chronologically as recommended by her doctor. She remarks frequently but somewhat cryptically on the unfortunate end to her story, noting how dishonest Odalie was with her, and that she didn't know about Odalie's machinations at the time. I liked Rose's voice, and though she could be naive, at times her sharp wit came through. When describing one of the men at the precinct she says "He is very likely wondering if I'll faint and crumple face-first over the stenotype...But we live in a modern age now, one in which women have enough to do without having to trouble themselves with the obligation of fainting all the time..."
But Rose also plants seeds of doubt about her character and reliability as a narrator. Early on, she reveals that she was accused of an "unhealthy" relationship with a girl she knew at the convent. She is quite defensive about this, which casts doubt on her story - along with the strange journal of Odalie's activities that she keeps - so I never knew how much I should trust her. On the other hand, I never trusted Odalie at all, as you are expected not to, and for a character who wasn't easy to like I rather enjoyed reading about her. The most interesting part of this novel is the ending, which I can't discuss in any meaningful way without spoilers so I'll try to be vague. It's either totally ambiguous or a shocking twist, depending on how you read it, and the nature of the shocking twist varies considerably by reader. I didn't know what to make of it so spent a great deal of time reading reviews and discussion threads on Goodreads. Let's just say this is a great choice for a book group which is, in fact, the entire reason I'm reading it. I'm still not entirely sure how I feel about the ending, but I'll certainly give the author credit for writing a finish that keeps me thinking about it for days, maybe even longer. I found many appealing elements to this novel. The speakeasies, bootlegging, and women daringly bobbing their hair lent it a distinctly 20s-era feel. From the moment I picked it up I was quite powerfully propelled through it. When it was over, I really disliked it for a moment, but after I spent some time thinking about it, I decided that I still like it quite a bit. This complex array of feelings is probably enough to recommend it and, when all is said and done I would, especially to anyone who would like an unusual and character-driven story of the 1920s. Per the instructions for the challenge, I will update this post as I go with completed dates and links to my reviews. This should be fun! Every year I experience a bit of angst when I try to pick out my favorite books because so many of them were really good. This year is no different, in that I read a lot of great books, but there were two clear standouts: Americanah by Chimamanda Ngozi Adichie and The Goldfinch by Donna Tartt. They are both high-falutin' literature that garnered positive reviews from critics, but also were just really wonderful reading experiences. You don't need an English degree to appreciate these novels. Some of my other favorites were Rebecca, Tell the Wolves I'm Home, Year of Wonders, The Cry of the Sloth, and Beautiful Ruins. But I also loved The Burning Air and Kiss Me First - really, it's hard to stop naming favorites once I've started. Those last two, though, were probably the most underrated books of the year. They deserved much greater popularity. I have a few general observations about 2013's reading. I notice several re-reads on my list: Carrie, The Great Gatsby, Alias Grace, Twilight Sleep, Firmin, Bossypants, and I read Code Name Verity twice during 2013. In most cases these re-reads were for book groups or something work-related (I read Gatsby and Twilight Sleep for Gatsby Month.) My trend of reading ever more books every year seems to be continuing, though I'm really not trying and I don't know how to stop it. Subscribing to Audible.com this year ensured that I was continuously listening to audiobooks, and I know that was a factor in this lengthy list. Also this year I read a number of romance novels as that was a previously unexplored genre, which I am unlikely to continue with such fervor. I also notice that I read ALL of Sam Savage's books this year, including a re-read of Firmin. I will likely continue to read and re-read his books in the future because they are brilliant and short. He is a bewilderingly under-appreciated author. The only other observation I can make from looking over my old blog posts is that I noticed a really large number of typos, many of which were in the post titles. Yikes. Sorry about that. On a sad note, the author of the very enjoyable and touching It's Kind of a Funny Story recently committed suicide. Since that book was such a hopeful novel about a suicidal teen struggling with depression, I have very mixed feelings now about recommending it. Obviously it's still a good book, but knowing that the story is autobiographical, it's hard to separate the novel from the tragic end to the author's life. So what's ahead for 2014? I'm considering more re-reads, actually. I know I'll be reading Fangirl again for a book group at work, but I've also been thinking about reading Margaret Atwood's The Handmaid's Tale again because I read it so long ago, as well as I Capture the Castle by Dodie Smith. Maybe even Cheryl Strayed's Wild, which I only read a little over a year ago but am considering again. There's lots of new books I'm excited about as well - I still haven't read the new Diane Setterfield book Bellman and Black, and three of my favorite authors have new books coming out in 2014: Chris Bohjalian's forthcoming novel Close Your Eyes, Hold Hands is a departure from his recent historical works and sounds really fantastic. Sarah Waters is releasing a new novel next fall called The Paying Guests, and Elizabeth McCracken is releasing Thunderstruck and Other Stories this spring. I have a lot of great books to look forward to!